Financial planning is important for all families but having a child with special needs makes it even more imperative that parents consult directly with experienced professionals. Financial and estate planning for families with special needs should look to do everything possible to protect the special needs beneficiary’s rights and entitlement to particular government programs. For those parents who have children with special needs, the cost of a college education and adulthood can be catastrophic. In fact, the American College of Financial Services in Pennsylvania estimates that the typical cost of raising a child from birth to age 18 is $250,000, but it could be much closer to half a million dollars for a child with special needs. 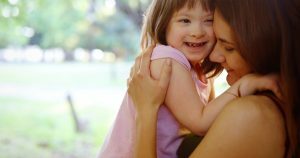 Using the right strategies and professionals well in advance can help parents tackle the unique obstacles and issues that may be associated with providing care for a special needs child. Assembling a team of knowledgeable professionals who have worked in this field over the course of multiple years and have helped other families like yours is essential for giving you peace of mind. Some of the most important players on your team included an accountant, a caregiver, an estate planning attorney, and a financial advisor. Available government benefits should always be given top priority when establishing a long-term estate plan. The support of an experienced lawyer is valuable for guiding families through common missteps that could otherwise expose their loved one to having those benefits slip away. Most parents and families are concerned about how to best protect these benefits, particularly, after the parents pass away and this could be a significant financial resource for the special needs child. However, basic estate planning mistakes could mean that those benefits disappear entirely, and it might be too late for the child after the issues have already emerged following both of the parents passing away. If no other caregiver has been established in this important role, the special needs child could truly struggle to live their adult life. Careful planning well in advance should look at all of the important issues related to special needs planning and should provide a road map for how to protect current benefits and maximize strategies for care in the future.